This Presentation Podium is For Professional Use! 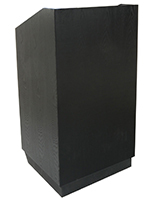 Lecterns are Available in Multiple Colors, Styles, and Sizes! Buy a Presentation Podium Now! 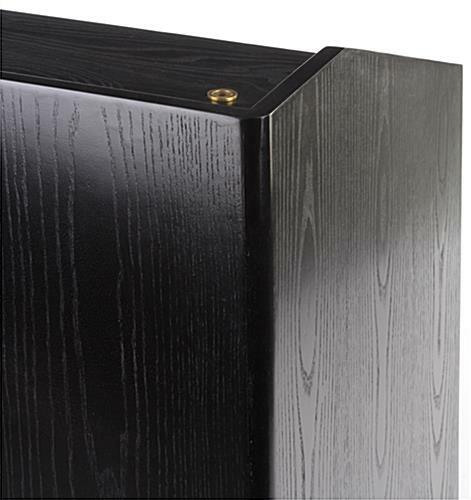 Plywood construction with a black veneer finish is durable and neutral for any decor. (2) Hidden casters for easy mobility. Three shelves with locking cabinet doors to store multimedia equipment. Ships fully assembled to save customers time and energy. 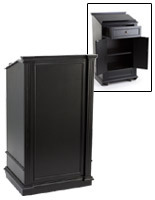 Each presentation podium, called a church lectern, has locking cabinet doors. 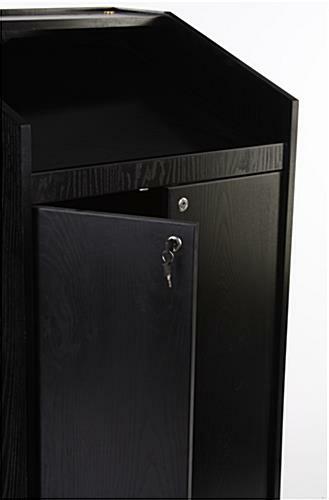 The doors lock independently so (2) different sets of keys are included. 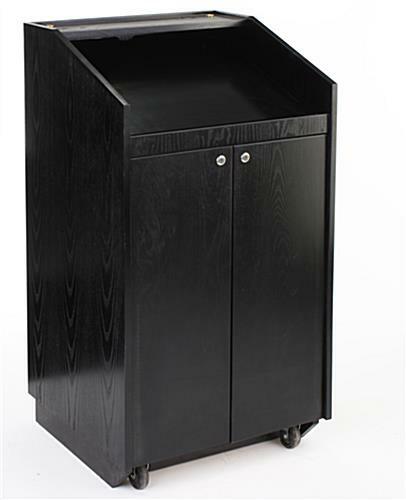 This presentation podium with two wheels which are hidden can be moved around a business if needed. A single person can move the lectern by tilting and sliding it across the floor. Each corporate stand is a presentation podium that is durably made of plywood. Plywood is durable for long term use. 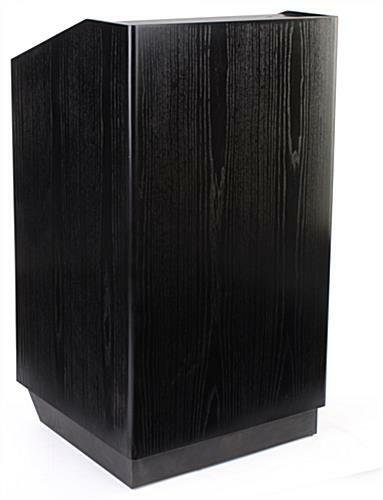 This sermon lectern is a presentation podium that is black. 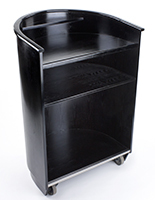 These stands are finished with a black veneer finish with a natural wood grain pattern. 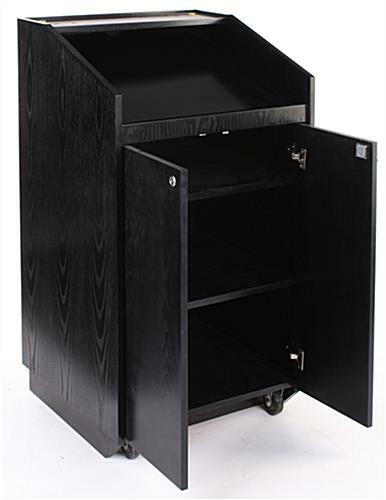 These lecture pulpits have (3) shelves inside the cabinet. 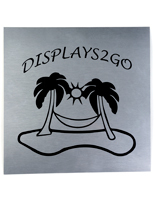 Customers should be aware that although each shelf is 24", the door hinges make the usable shelf space 21" wide. 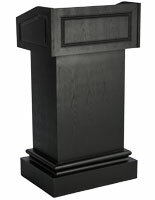 Each presentation podium has many great features that make this stand such a popular lectern. This site has hundreds of speaker stands to choose from, but this pulpit stands out from the rest. 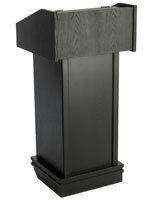 This presentation podium is designed for use in any professional setting. 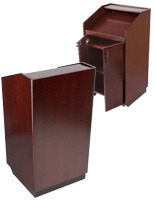 These lecterns are most often seen at churches, conferences, schools, and seminars. This presentation podium has a book ledge to keep items from falling off the slanted reading surface. There are also pre-drilled cable holes for multimedia accessories if used. 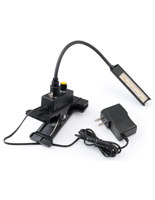 This professional speaker stand is a presentation podium that is reasonably priced. 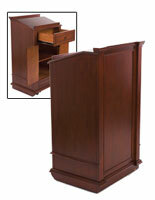 Many other lecterns on the market cost more and have fewer features than this seminar pulpit. 25.6" x 47.8" x 23.6"
24.0" x 31.9" x 21.5"